Vicamid 528 is a fatty amide nonionic surfactant derived from natural oils that provides anti-corrosive and good lubricity properties. VICAMID 528 is a rich golden,highly viscous oily surfactant with a bland odour. It forms thick aqueous dispersions in water which may exhibit stable foams. VICAMID 528TM is a fatty amide nonionic surfactant produced from the reaction of Coconut Oil with Diethanolamine which will contain some glycerine and glycerides as well as about 8% free DEA. When formulated in aqueous products Vicamid 528TM will provide anti-corrosive and good lubricity properties. Coconut diethanolamides are known to be good coupling agents in aqueous formulations or microemulsions containing a variety of otherwise incompatible materials. They are also used as viscosity modifiers and foam boosters. Personal Care: Foam Booster and Viscosity Builder in Shampoos etc. Household Cleaning: Foam Stabiliser and Viscosity Builder in Dish-washing Liquids. 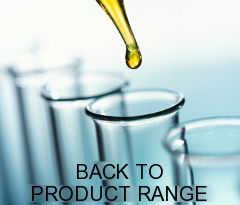 Provides lubricity and corrosion inhibition properties in formulations. Excellent coupling agent can be very useful in formulations that contain compatible materials. Can boost viscosity and foam characteristics.